Motiv created the Rogue Blade bowling ball by combining the proven and trusted Sigma core with their Hexion SE coverstock. 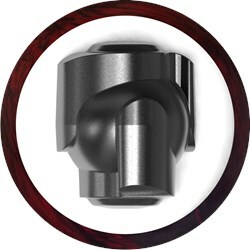 This ball introduces the Hexion Strength Enhanced coverstock to the world. This core and cover combination creates a strong and angular ball that generates easy revs and outstanding control in the mid-lane for medium oil conditions. Similar Balls: Same Hook Potential, Lane Conditions & Coverstock as the Motiv Rogue Blade. Bowled a 802 series with it after only having it for 2 weeks ?? Enter the Rogue Blade, MOTIV latest entry to their Mid-range/Medium oil area of their bowling ball chart. 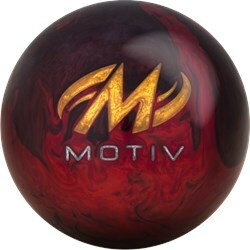 As explained previously, MOTIV continues to keep the Sigma core alive and well but decided to go with a "old meets new' approach with this one. The Sigma core, known for its versatility and power, is now encased with the new Hexion SE cover stock. This new cover builds on the angularity of the original Hexion cover by beefing up its strength in oil and improving on its response down lane (faster and more angular). The beauty of this combination is that we now have a versatile core with a strong ball motion that will still allow you to maintain different angle down lane. I don't know how else to say this, I am simply in love this piece. The Rogue Blade is truthfully as advertised. I have always been a fan of Sigma core. As many of you have noticed in my previous reviews, the versatility of a piece goes a long way for me and the Sigma core embodies versatility. Some of the issues I've experienced with this core unfortunately was not the core itself, but rather the cover stocks wrapped around it. In the past, such as the Forza SS, although a versatile ball in its own right, there were times I found it difficult to open my angles too much. I would lose carry potential because of the smoother ball reaction it gave me. The Rogue Blade provides me with the angularity I needed to snap that 7 pin out as provide a few weeks ago. I decided to sub in a league for a friend of mine the shift before my regular league later that evening. First game, with almost no effort, I start my evening off with a 300. My evening did not end there however, for my normal league, I move to the other side of the house and end up shooting 278-300-238 for 815. These games were thrown with my Rogue Blade. The ball was not cleaned or surfaced adjusted between shifts, I simply adjusted my positioning and angles and the rest was history. We currently show 14lbs in stock. The price can vary depending on when the order is being placed but if you add this to your shopping cart, it will show the current price for this ball when you add it. Will this ball preform well with me being a lefty two handed bowler? Yes, any ball could actually work for a left handed bowler or a two handed bowler but it is just a matter of matching the ball to the lane conditions you bowl in. This is rated for medium oil but if you are two handed then you probably generate a higher rev rate and can get this to work in medium and probably some heavy oil as well. Also, when you have the ball drilled the ball can be drilled to suite your style and help it work. If you are needing something that will roll longer and break later, you will probably want to go with a pearl ball. 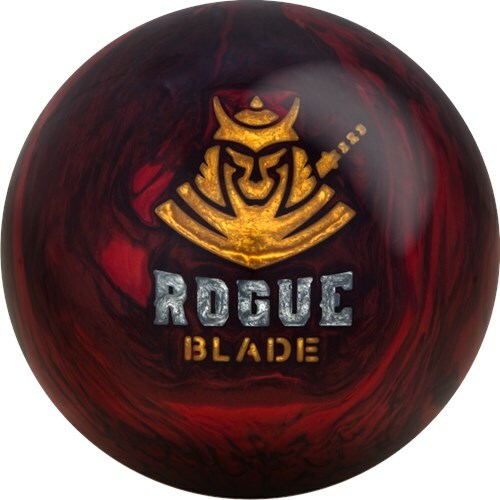 The Motiv Rogue Blade is a solid and will break a lot sooner than a pearl ball. Due to the time it takes to produce the Motiv Rogue Blade ball it will ship in immediately. We cannot ship this ball outside the United States.